You can snorkel with whale sharks, interact with manta rays, encounter turtles, humpback whales, dolphins, amazing colorful tropical fish and coral in the Ningaloo Reef just off Exmouth. 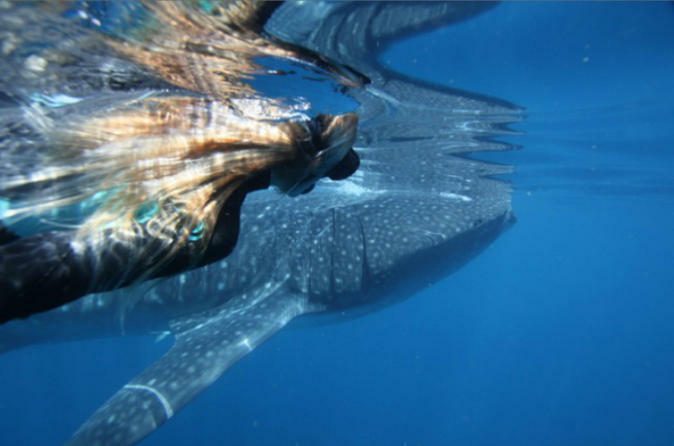 Swimming with a whale shark is an unforgettable experience. The Coral Coast of Western Australia is home to an abundance of unique wildlife and reefs ready to be explored. The clear waters and visibility of the North West make for perfect conditions to swim with a whale shark as they glide just below the surface, allowing snorkelers to swim alongside these magnificent creatures. Swim with Whale sharks on Ningaloo Reef and be mesmerised by these gentle giants as they make their way along Australia’s west coast during their annual migration from March/ April to August. You’ll cruise comfortably aboard one of the biggest boats operating from Exmouth on Ningaloo Reef and the friendly and experienced skipper and crew are always on hand to assist and enhance your whale shark swim. 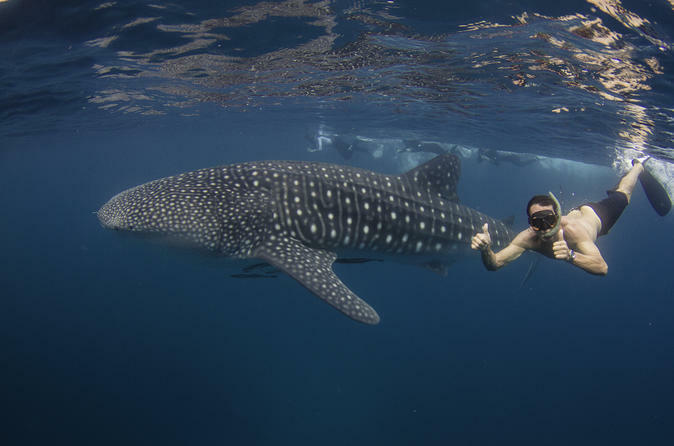 If you don’t want to swim with whale sharks, choose the observer option – you will still be able to swim amongst the beautiful coral and marine life of Ningaloo Reef. 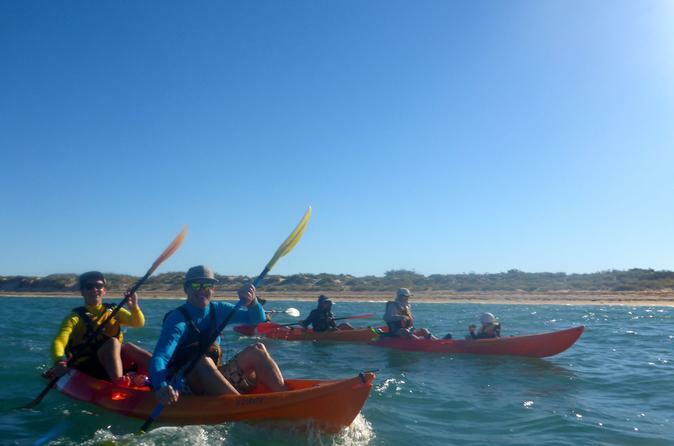 This afternoon tour is perfect for those wanting a taste of kayaking as well as to explore a small portion of the Ningaloo Reef. After pickup from your Exmouth accommodation you'll travel by road for approximately 15 minutes to either Bundegi, Wobiri or Tantabiddy Beach (weather dependant). After unloading the kayaks, and getting fitted out with kayaking and snorkeling gear, you'll receive a brief paddle lesson and safety talk. It is then time to head off kayaking along the coast. During the afternoon we, you'll stop for afternoon tea on the beach and snorkel off the kayaks, before heading back to the start point. 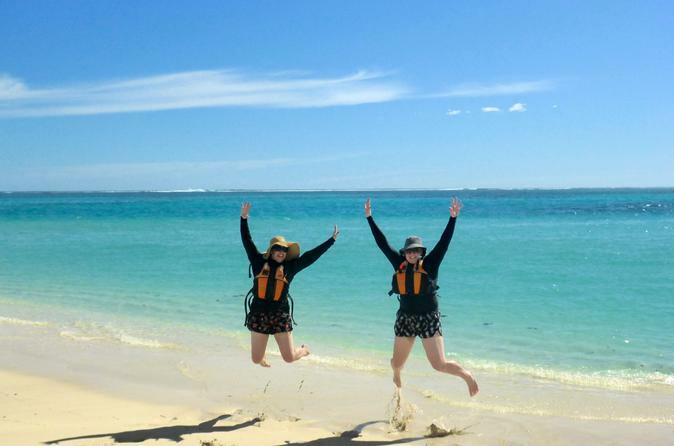 Kayaking and snorkeling is a great way to experience the magic of Ningaloo Marine Park. 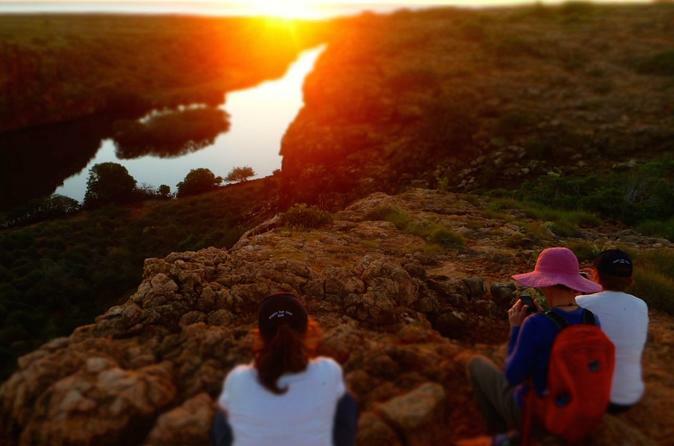 From Exmouth, take take the wonderfully scenic drive into Cape Range National Park which is approximately 70 kms by road and takes 30 to 40 minutes. After unloading the kayaks, and getting fitted out with the gear you'll receive a basic kayak instruction and saftey talk. It is then time to paddle off into the blue. The lagoons of Ningaloo are filled with marine life that surprises and thrills and the snorkelling can be world class. Turtles, rays, reef sharks, schools of fish and seabirds sightings are common; occasionally dugong and dolphins are also spotted. Explore the best Western Australia as you enjoy the ultimate safari and a Karajini Eco Retreat with 2 nights accommodation at the Novotel Ningaloo Resort, airport transfers, an night camping in Cape Range National Park, 4 nights camping in Karajini, multiple gorge walks and swims and a farewell dinner at Exmouth's newest restaurant 5 Kennedy St.